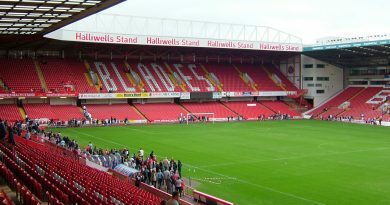 Sheffield United head to Rochdale this weekend full of confidence after last Saturday’s comprehensive victory over promotion rivals Bolton Wanderers. Many supporters had pegged the game with the Lancashire outfit to be the real test of the Blades’ bottle this season. Win, and promotion is a certainty. The atmosphere was appropriately nervy but that dissipated after twelve minutes when captain Billy Sharp fired United into the lead. 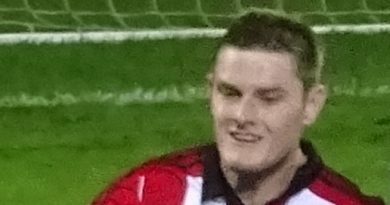 Before scoring, Sharp had been receiving abuse from Wanderers fans because of a video which went viral of Bolton striker Gary Madine calling the Blades’ captain “fat” while on a night out. Sharp celebrated his opener by shushing the Wanderers following and pointing to his, in fact, thin midriff. The Blades then went onto dominate Bolton, passing circles around their opponents who looked completely lost and bewildered. The Whites’ defenders were not able to deal with Sharp’s constant and clever movement all afternoon, and he finally added his second of the game from the spot on the 70th minute. It was a dominant and comfortable victory, with the Blades outplaying Bolton in every possible way. This victory stretched United’s lead at the top of League One to seven points. They now travel to Spotland to face a Rochdale side who haven’t won in seven games. United now hold their fate in their own hands and surely the only team that can prevent them from gaining promotion now is themselves. The Blades have been in League One for six years, and if they finally want to gain promotion then they must not become complacent and continue their great form this Saturday.